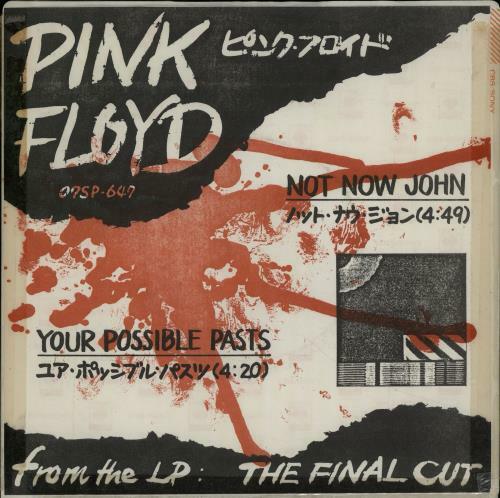 PINK FLOYD Not Now John (Super Rare & Very Cool 1983 Japanese promotional-only wide centred vinyl 7" for the single, also featuring the album b-side, Your Possible Pasts - this b-side was replaced with The Hero's Return Parts I + II forthe stock release. 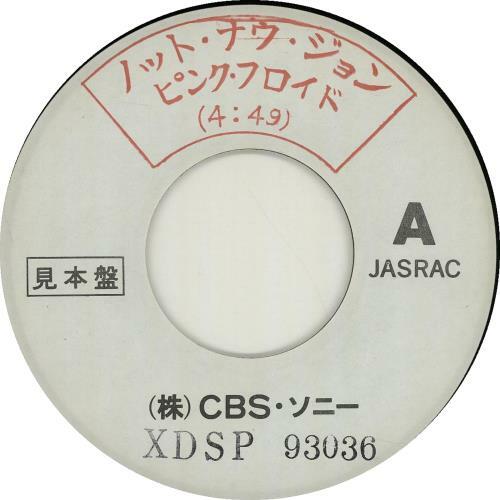 The labels are custom rubber stamped black on white with additional red highlighted Japanese text listing the track lengths. 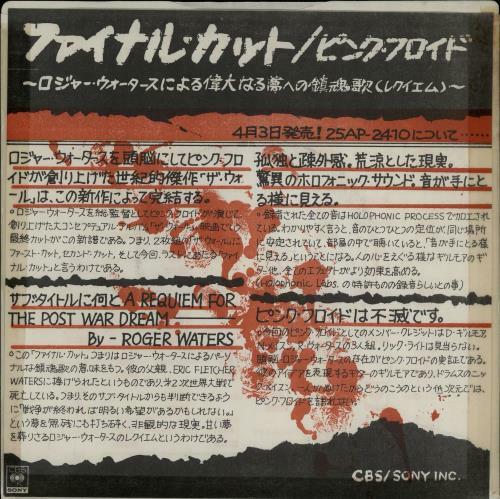 What makes this very desirable is the unique double-sided cover, essentially two sheets of paper pasted to a CBS/Sony company sleeve, in blood splattered red with 'The Final Cut' advertisement & exclusive Japanese text. It looks like something out of a Beat Takeshi yakuza movie! 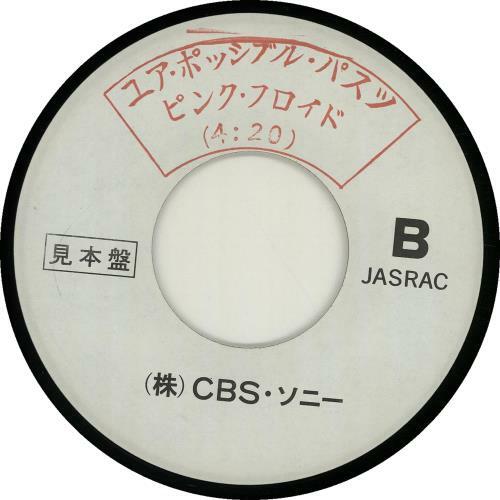 Both the sleeve & vinyl are near mint, with merely the very lightest few signs of play XDSP93036).